Energy Efficiency is something that every company is having to take into consideration in the present day, as global warming and massive concerns over energy use is being talked about all the time. Government bodies are urging everyone to be “green” and to be as conservative as they can when it comes to energy usage and recycling. However, the whole realm of energy-saving does open up potential markets to companies to create more “green” products for consumers. Germany are world leaders in green building, as they are consistently emphasising efficiency in industrial production.  Although it already counts among the most energy-efficient in the world, German industry still has massive untapped potential for profitable investments in energy efficient production processes and technology. This translates into a substantial business opportunity for service and technology providers. Germany took the top spot because of its mandatory codes requiring both residential and commercial buildings to reduce energy consumption by 20 percent. WERU products have always been one step ahead of the game when it comes to energy efficiency, and Germany have always been a country that prides itself on being green and energy efficient. This is why WERU products are perfect to install into new build properties. WERU can provide high performing windows with special WERU insulating glass that can achieve heat insulation values up to Ug= 0.4 W/(m²K). However, Ug values only measure the performance of the glazing inside a window and a lot of companies only refer to Ug values that they can offer. The most important value for energy efficiency is the Uw value. This measures the performance of the entire window. WERU products can provide Uw values of Uw = 0.68 w/(m2K). The windows are able to achieve this through sophisticated engineering that ensures the installation depth, number of chambers and chamber size all have the best thermal insulation characteristics. In addition, WERU had already met the requirements long before the German Energy Saving Ordinance came into force in 2015. As a customer, WERU products are a little bit more expensive than other windows and doors on the market. This is only because of the amazing engineering and high tech materials that go into manufacturing the products. You will see a noticeable change in your energy bills, as the windows that you have had installed will definitely save you money in the long run. After a period of time, many other windows on the market may become out dated and not perform as well. 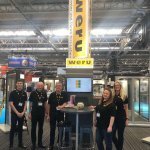 WERU Windows are so far ahead of their time, they have become a market leader in their industry.